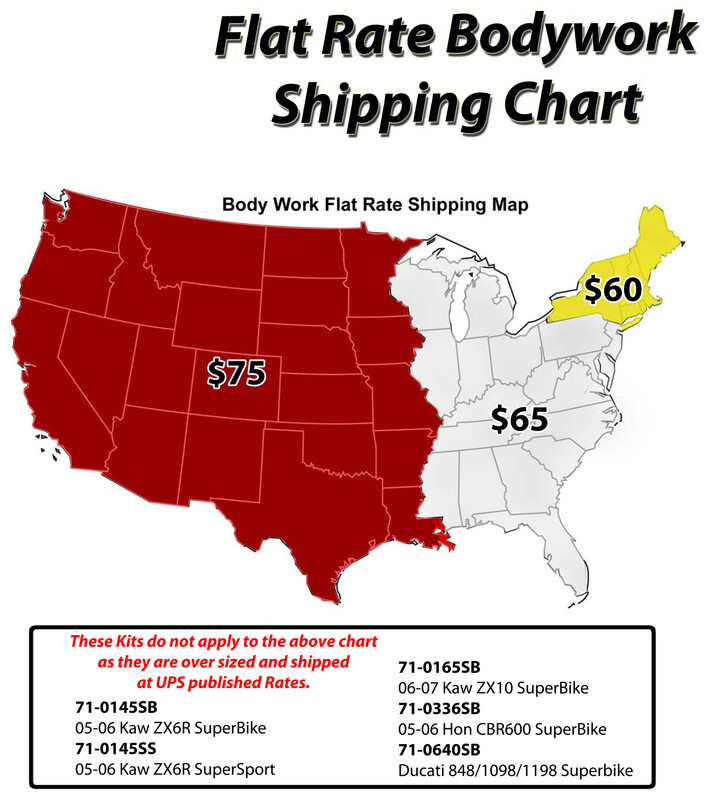 Armour Bodies b odywork has award-winning fit and finish that took the industry by storm when Armour Bodies scored among the leaders in every single category in the Roadracing World bodywork comparison. This bodywork was rated to have exceptional fit, the highest durability and was #1 in surface finish and flexibility. Armour Bodies is top quality bodywork that is made with unique resin derived from the Kayak racing industry, giving it the ability to withstand the rigors of the racetrack. We use only large sheets of fiberglass with minimal use of mill fiber - giving the part the best possible structural integrity. Each part is then hand sanded, individually fit together and finished in a high-quality primer that is ready for paint after a light scuff. This bodywork will save you time and money every step of the way. The labor we put into the finish can save over $100 in prep time over other brands, as your painter will only have to give the bodywork a scuff before painting. The toughness of our large sheet fiberglass design together with our unique resin can help keep you on track after a fall - many riders are done for the day after cheap bodywork is left in shambles on the side of the track. Finally, our resin is fully compatible with commonly available fiberglass repair kits, giving your repairs much more strength and reducing the likelihood of the delamination common in repairs of other premium bodywork brands.